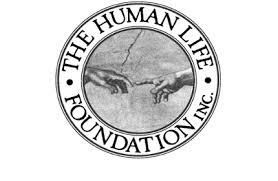 HumanLifeMatters: Foreshadows of things to come? Why is dehydrating and starving a dying or disabled person becoming acceptable? Howls of outrage would be heard if the same thing was done to a crippled animal. Take away food and water from a dying man and its death with dignity. Take food and water away from Fido when he’s in his last days and it’s an inhumane cruelty. In 2005, disabled American Terri Schiavo was dehydrated and starved to death. Her estranged husband’s lawyer, and right to die champion, George Felos, described her death as “peaceful and beautiful”. Did he actually think the public was dumb enough to believe his despicable lie? A few months after Terri’s judicial murder, my wife and I were visiting with Terri’s parents, Bob and Mary Schindler. They described her death. It was not peaceful nor beautiful! It was dreadful, so utterly and unspeakably horrible. And so in respect to Terri’s memory, and her parents' feelings, I will leave it at that, and not give further description. In the present climate of North America’s Culture of Death and abdication of its previous sanctity of human life ethos, I am at risk of meeting a similar fate as Terri’s, should my degenerative multiple sclerosis fall beneath some arbitrary standard for “quality of life.” After all, I am serious disabled with MS: If my current state of triplegia moves to quadriplegia, then on to being bedridden (and there's a strong possibility it will), I will be increasingly viewed as a liability rather than an asset to my society. I will be a financial burden to the state, or as the Nazi’s termed people like me: a “useless eater.” Some medical bean counter or bioethicist will impatiently tap his toe at the end of my hospital bed and think, “Time’s up, old man. We need this bed for a patient that medicine can actually heal.” Of course, in public or at the hospital ethical consultation, he will say my case is "futile". He may use any suitable reason to euthanize me that’s in keeping with respectable bioethical guidelines of Autonomy, Beneficence, Nonmaleficence or Justice. Let me speculate which it will probably be: Futile care -– although a case could be made for Beneficence or Justice. They could not say my starvation and dehydration was the exercise of my personal autonomy because I have been vocal all across North America against euthanasia and withholding food and water from people. Autonomy would be out. Nonmaleficence wouldn’t work either unless they presented the case that continuing to live would only cause further harm as new lesions develop in my brain and brain stem. No, best to stay with futile care. It would be cleaner and tidier and easier to refute family objections. Perhaps in a magnanimous gesture they might administer morphine to dull the agony. Maybe by then bioethical medicine will have moved beyond the barbarism of starving and dehydrating us vegetables to death, and administer a merciful lethal injection without fear of prosecution. It's so much neater. By that time, public attitudes may have coarsened sufficiently toward the incurables that doctors who euthanize the severely disabled, handicapped and terminally ill will be viewed as humanitarians. They may even receive awards and honors. This is what lies in the future, if people of good will do not stand adamantly against it. What else lurks the mists of the amoral 21st century to which North America is drifting (some would say careening)? What was that ancient Chinese curse? These definitions are not Wesley Smith’s. He was quoting Tom L. Beauchamps, and James F. Childress, from their 1979 book Principles of Bioethical Ethics.